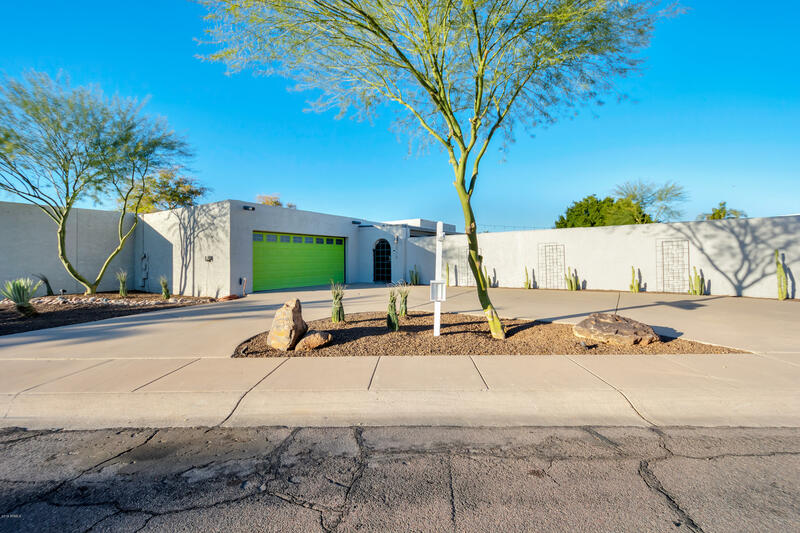 Don't miss this Tempe treasure, nestled within the Santo Tomas homes in the coveted Shalimar subdivision. 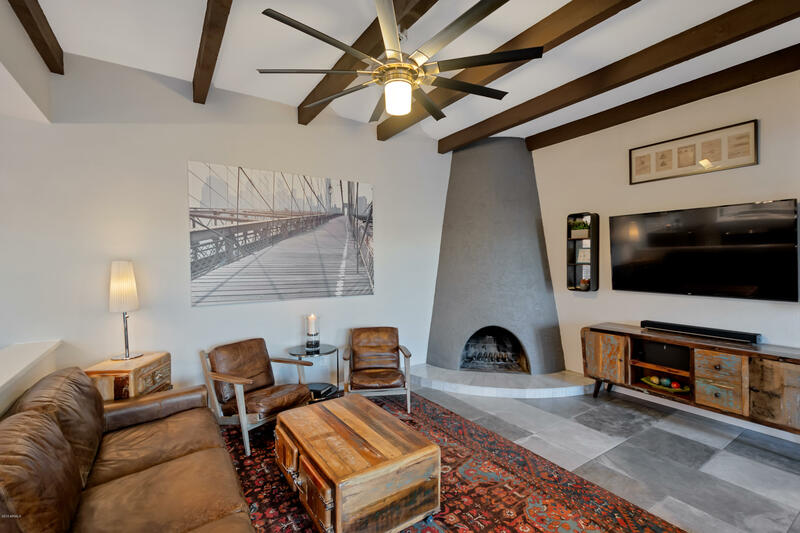 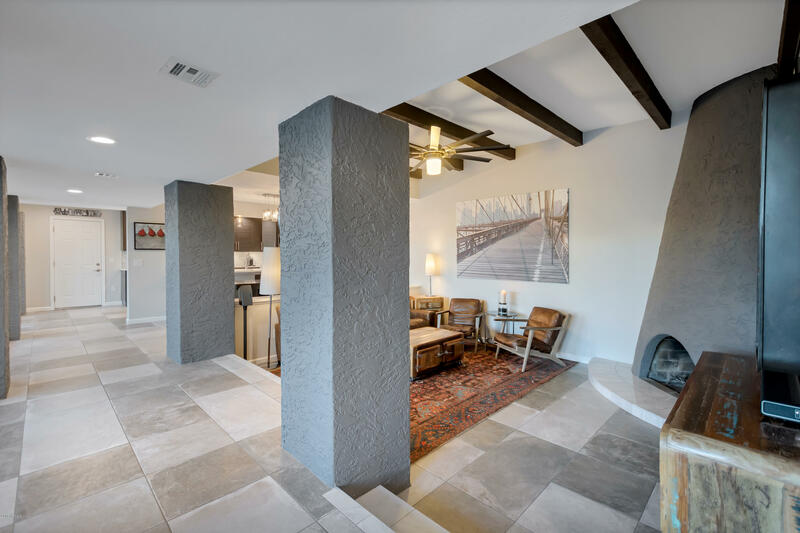 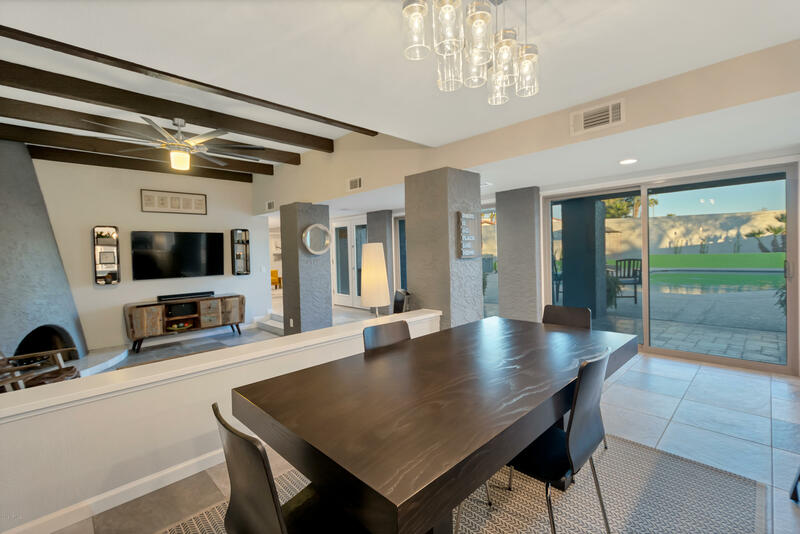 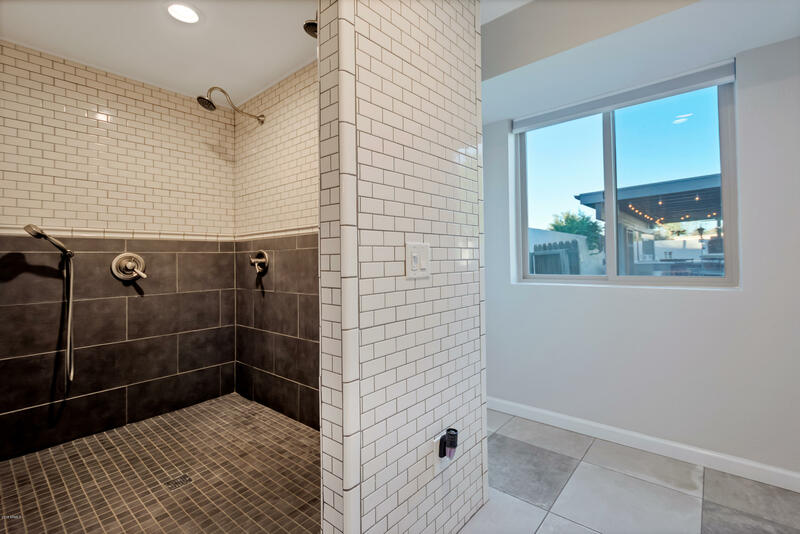 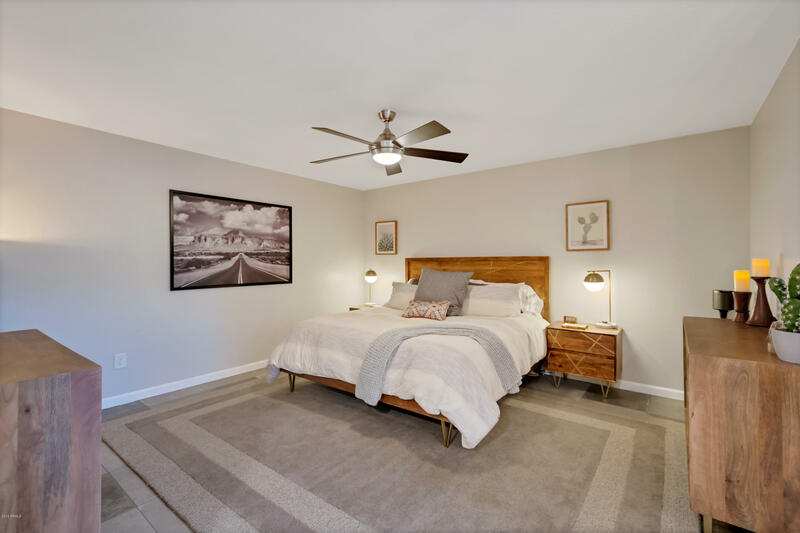 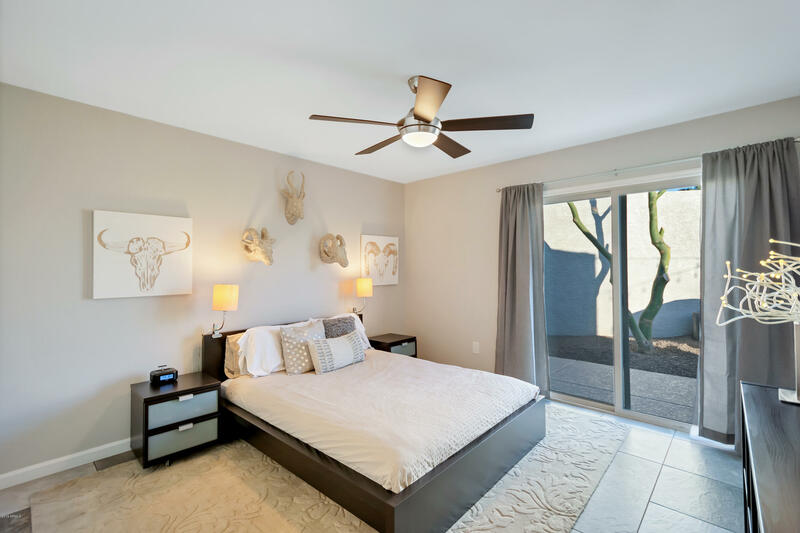 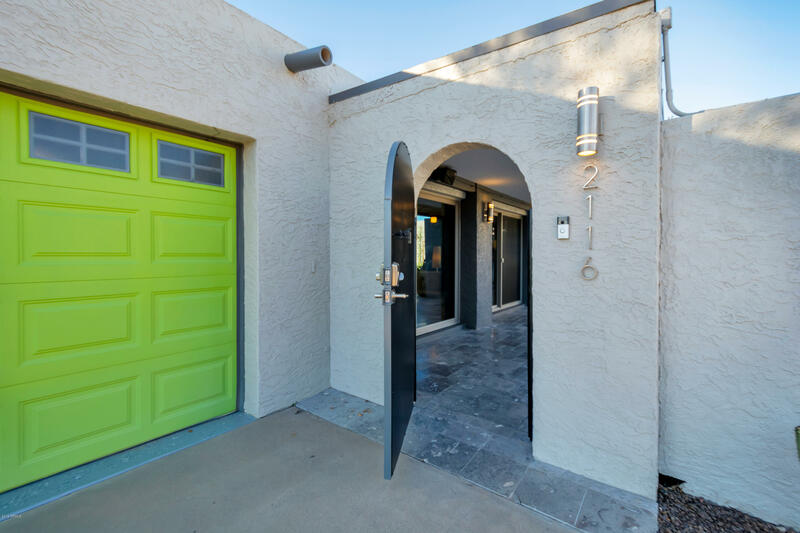 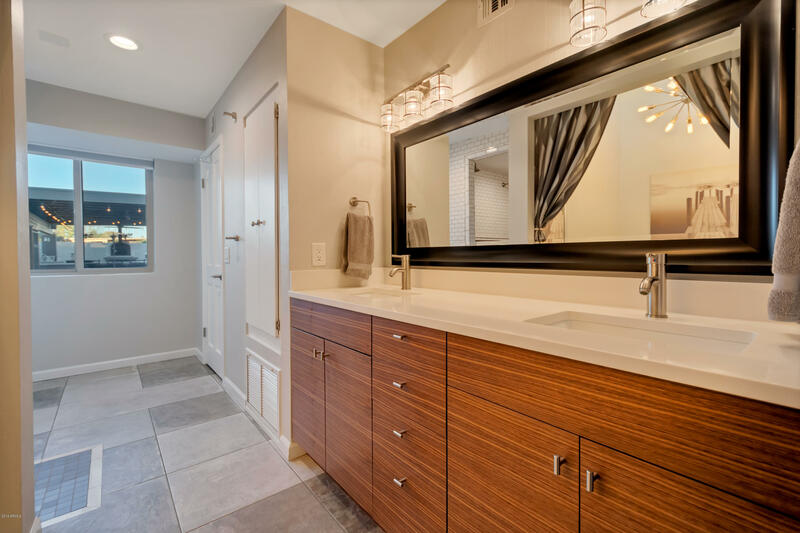 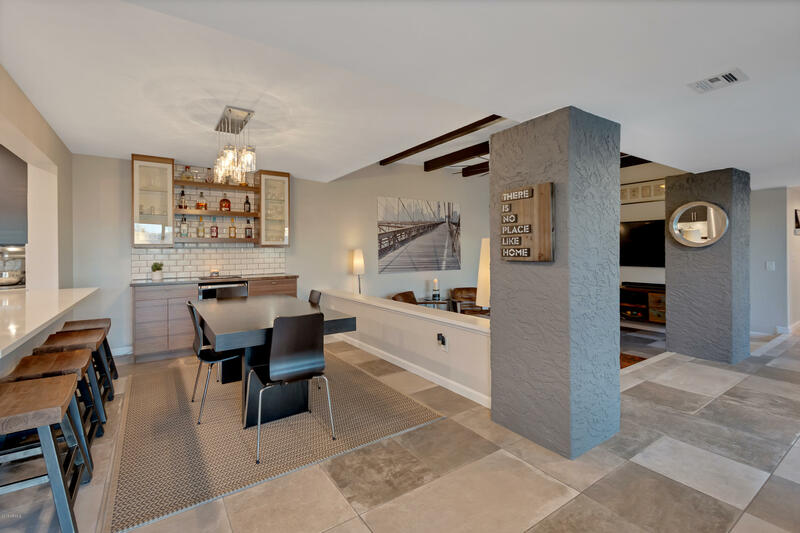 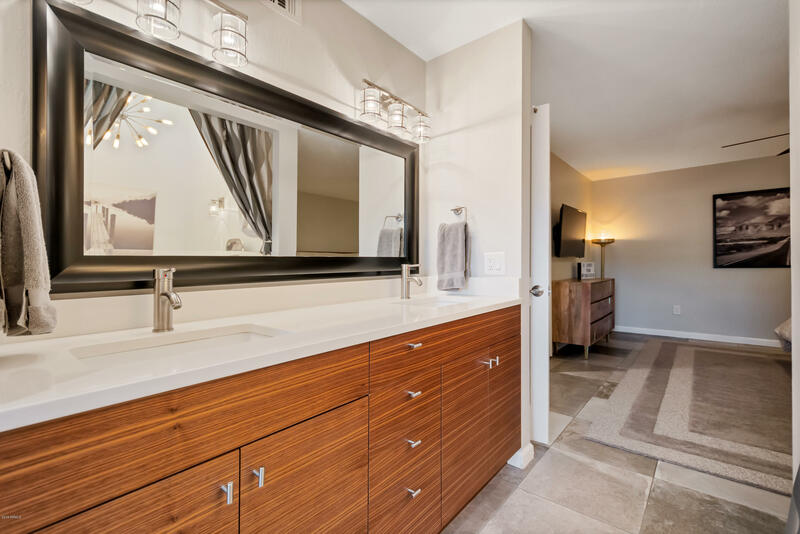 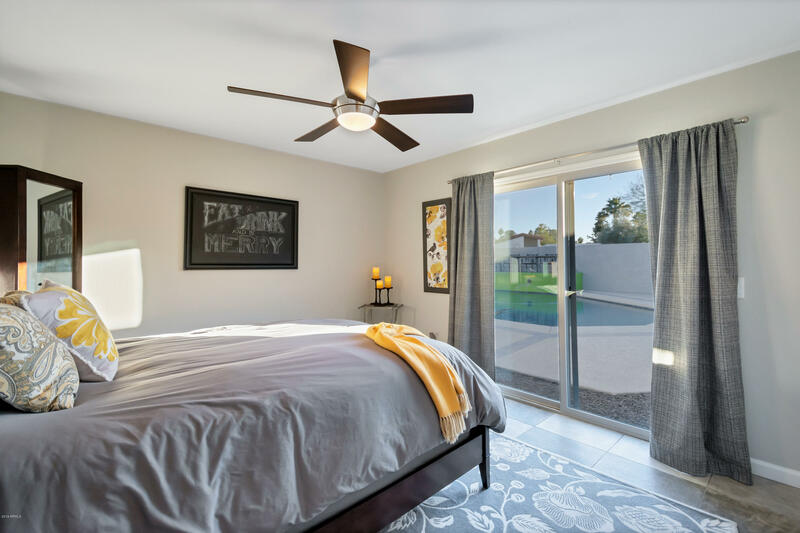 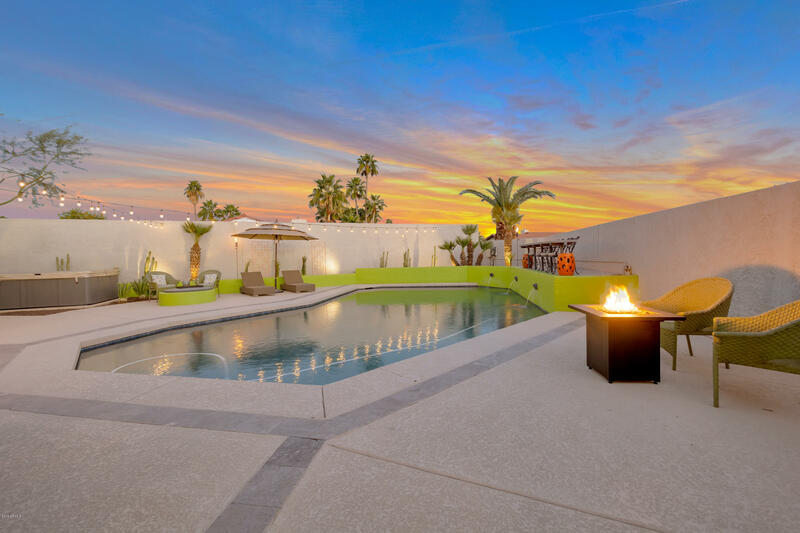 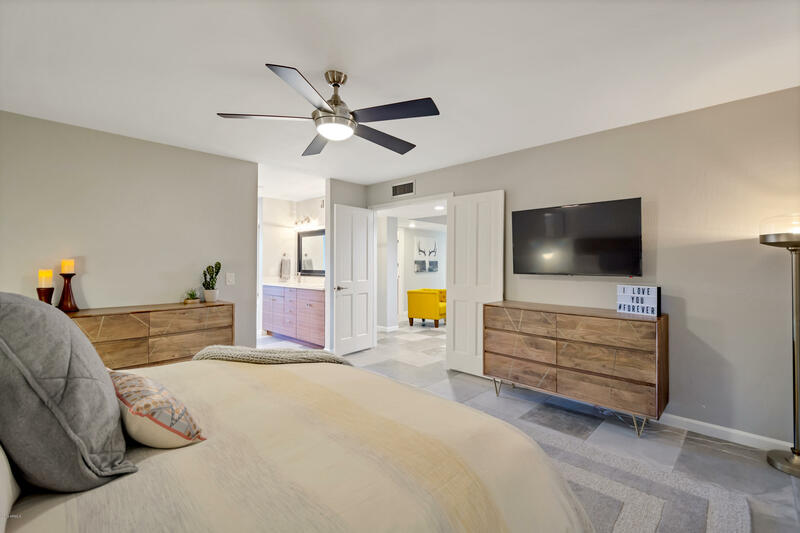 This beautiful home is located on almost a quarter acre in North Tempe with convenient access to the 101, 202 and 60 freeways. 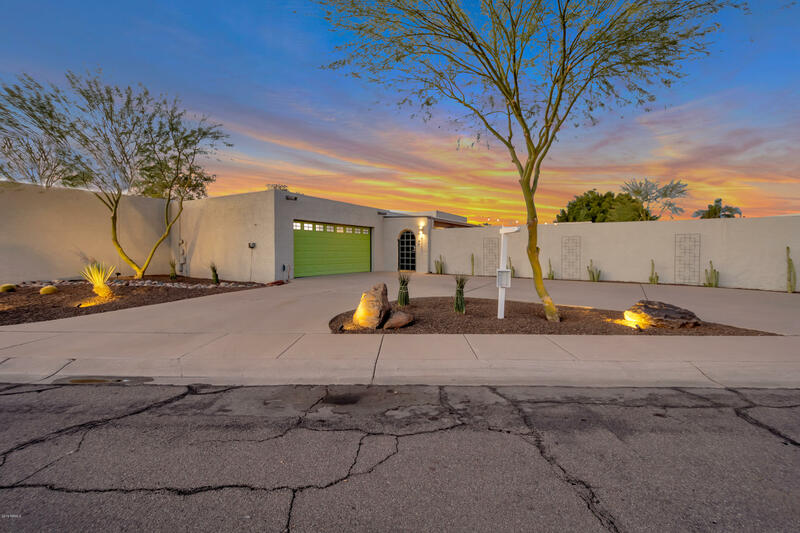 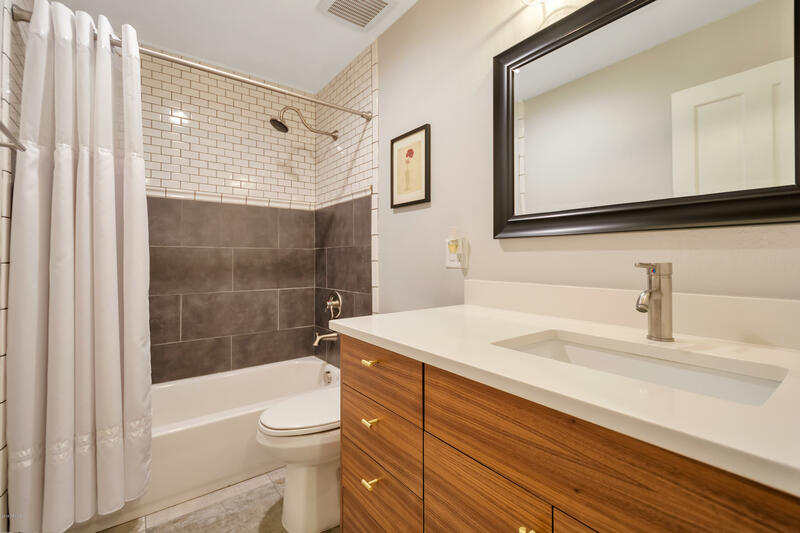 This 3+ bedroom, 2 bath, top to bottom remodeled gem is now listed for sale. 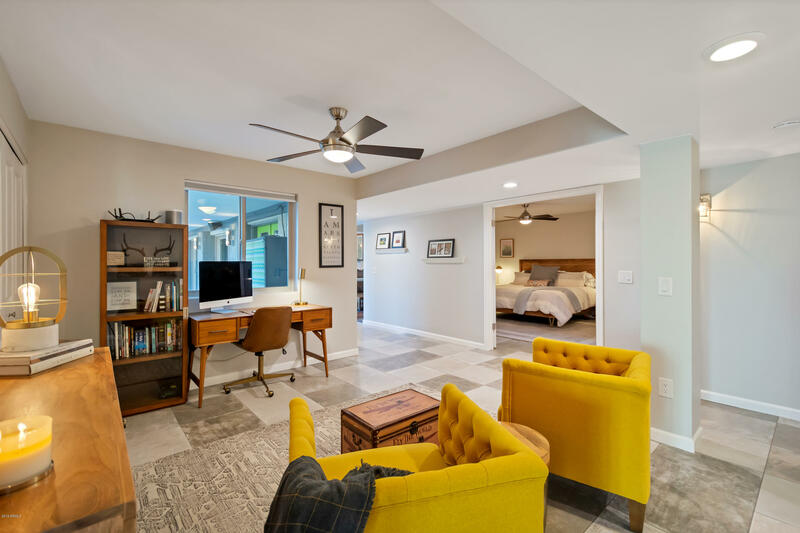 This home was bought from the original owner just over 4 years ago and has been completely revamped and is now better than new including dual pane low-e doors and windows throughout, beautiful tiled floors, pool and cool deck resurfaced, 2 new hot water heaters, 15 seer HVAC system and a new roof. 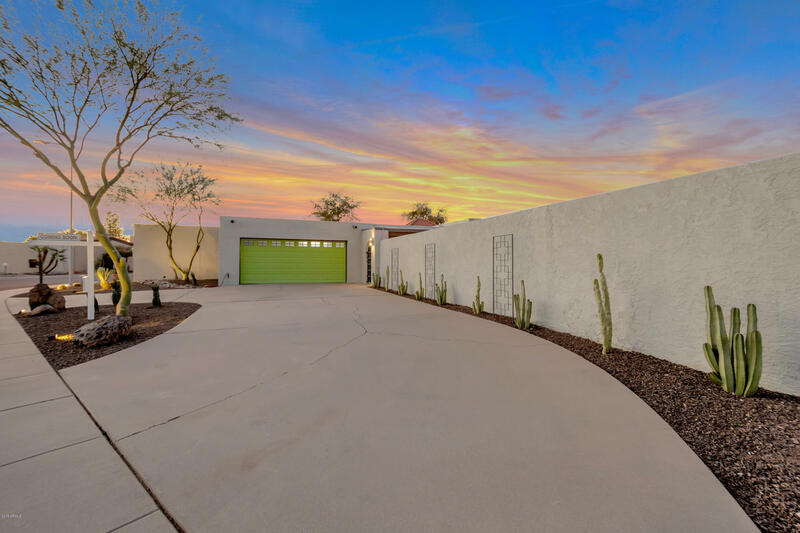 The updated kitchen includes quartz counter tops over Euro style cabinetry throughout, and all stainless steel appliances Outdoors you will enjoy a lusciously landscaped yard made up .. of a perfect mix of cactus, trees, rocks and synthetic grass. 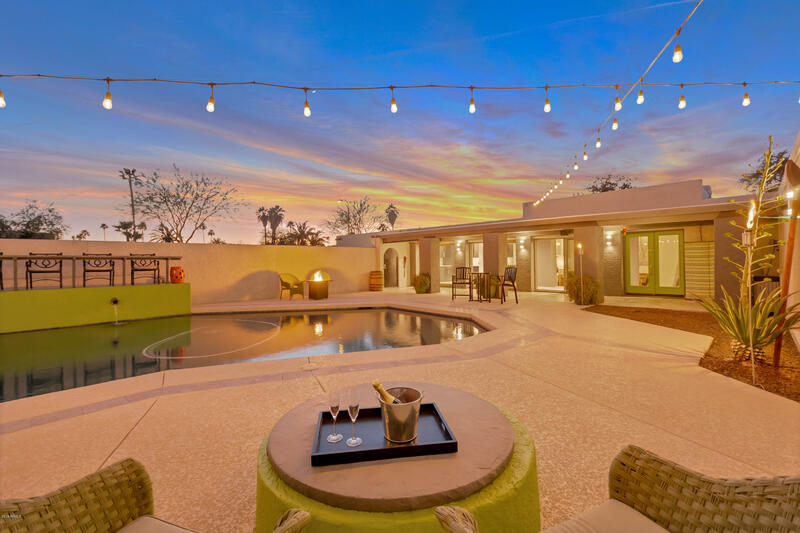 In addition, the landscape includes a sparkling pebble tech pool and jacuzzi. 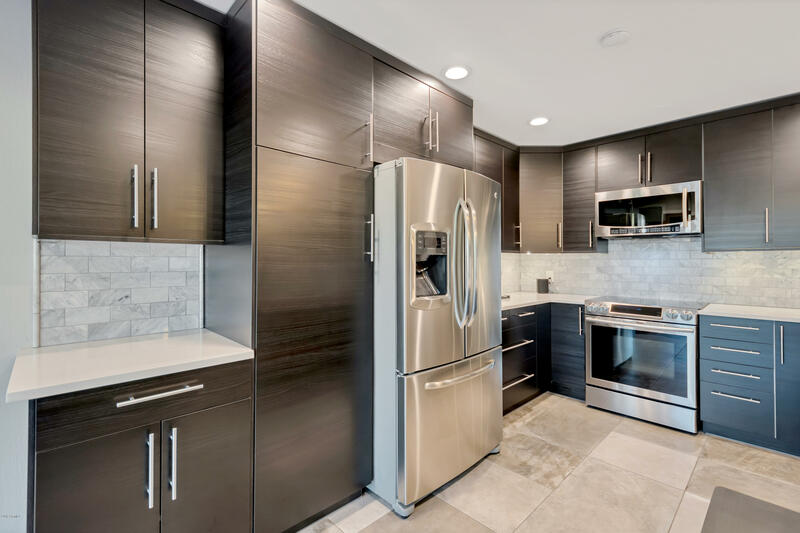 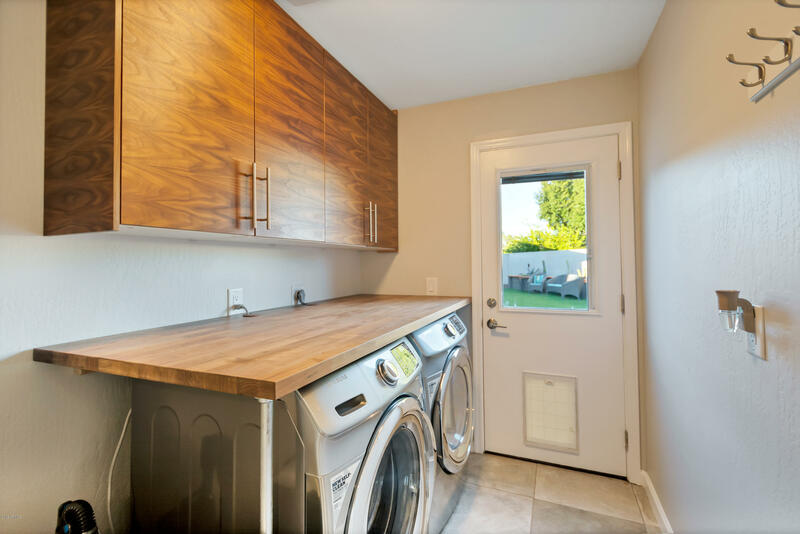 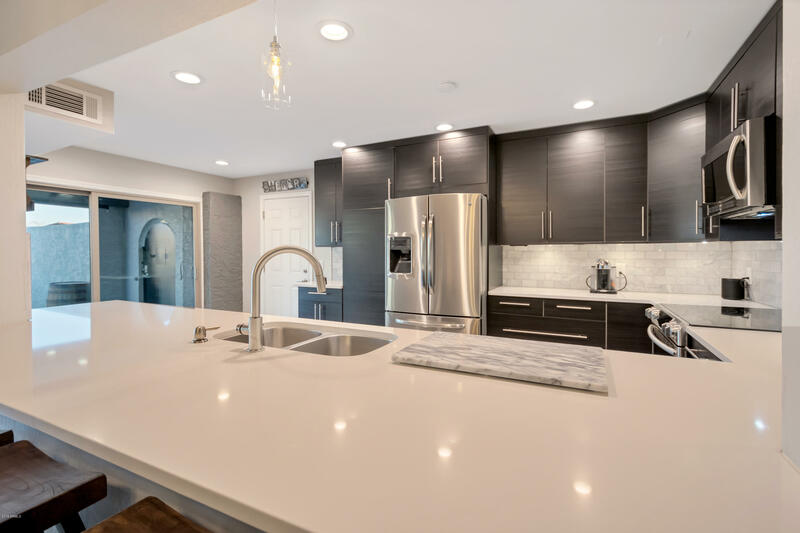 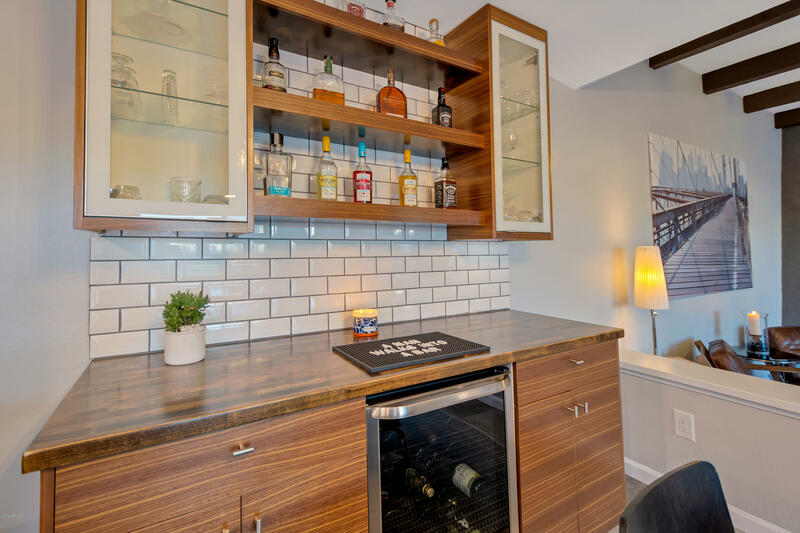 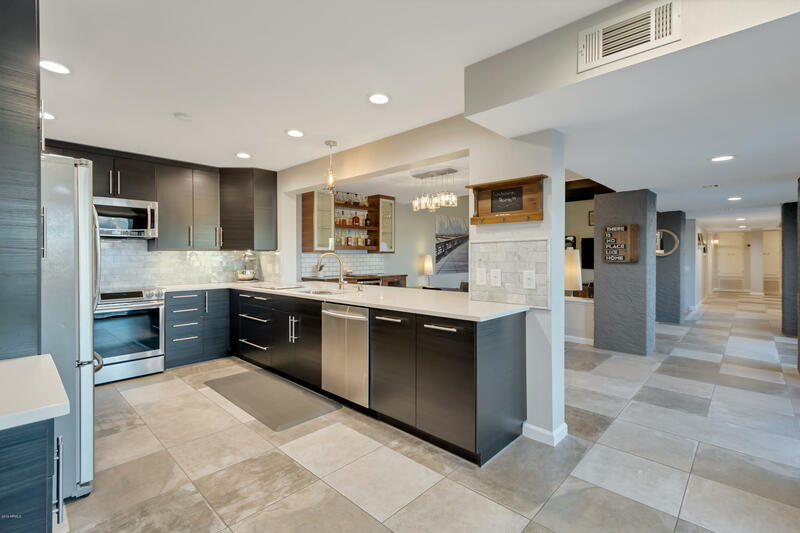 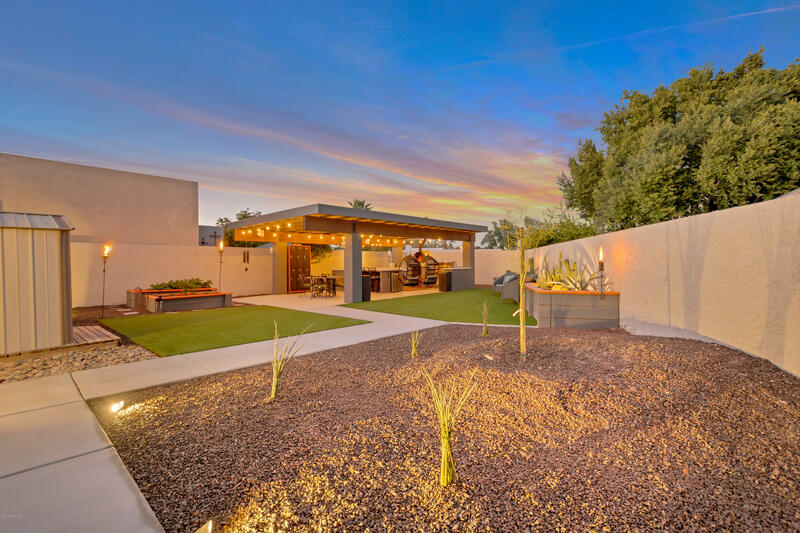 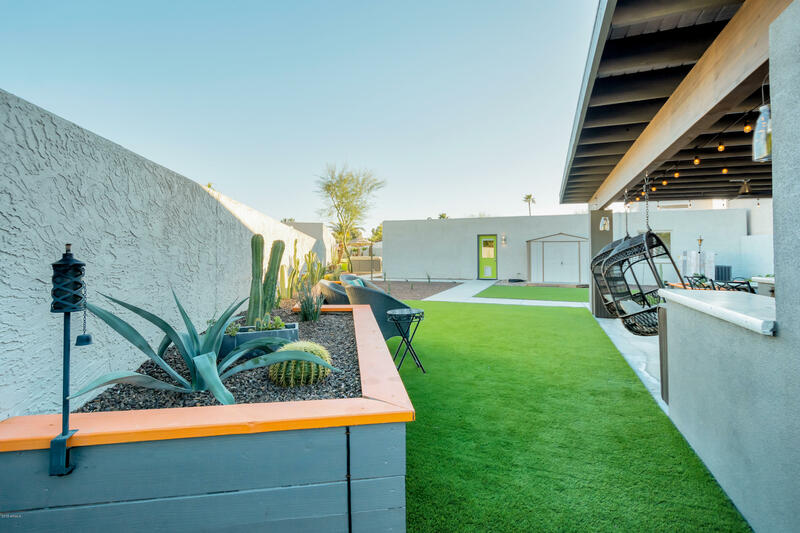 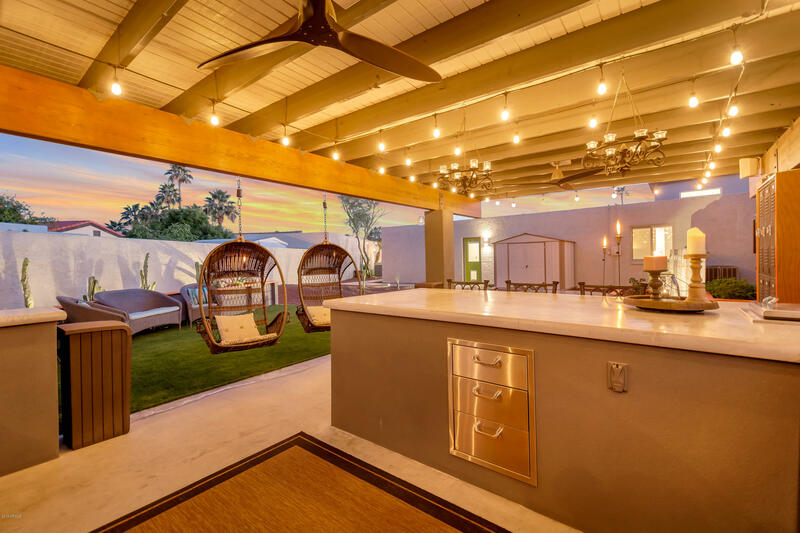 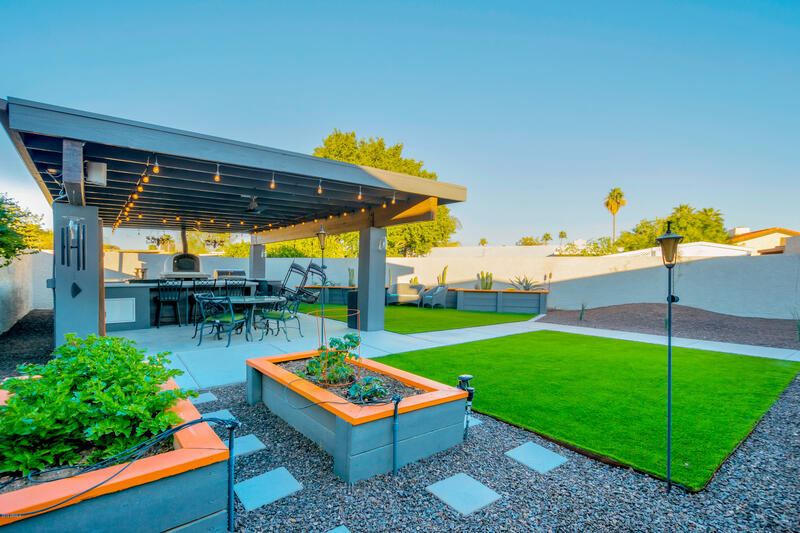 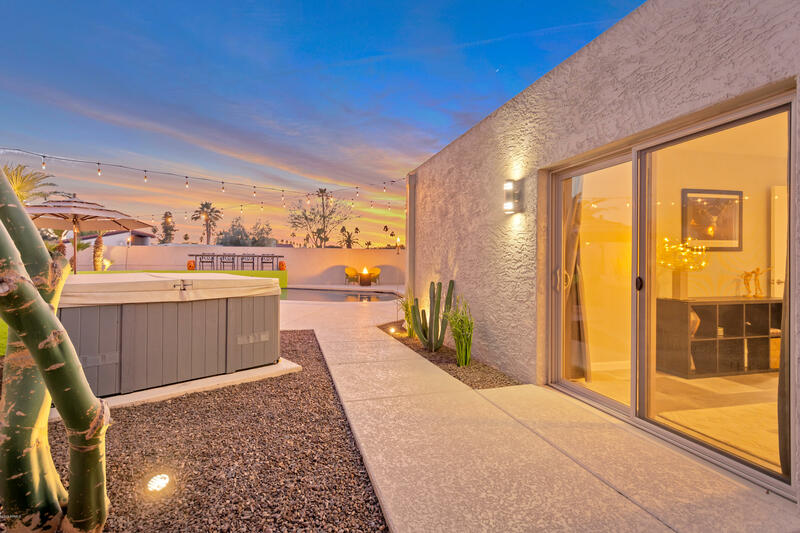 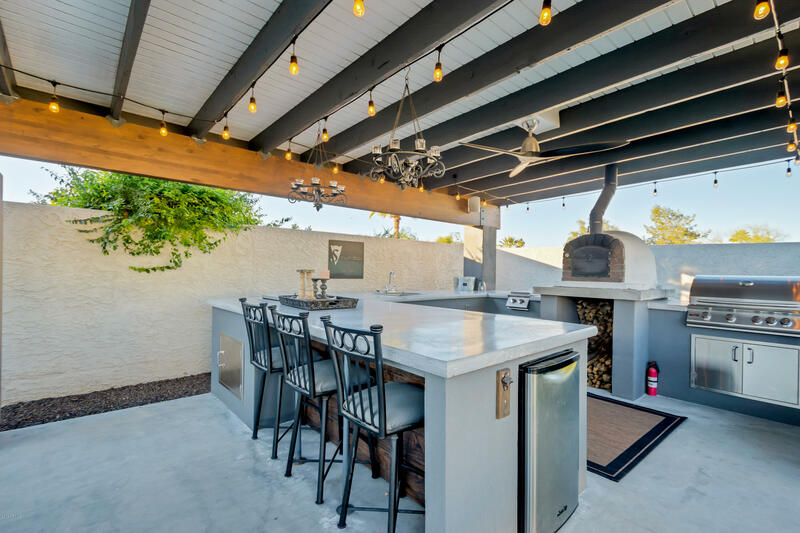 The highlight of the outdoor space of this home is a fully equipped 600 square foot covered outdoor kitchen with stainless steel refrigerator, sink, barbecue pit, and concrete countertops. 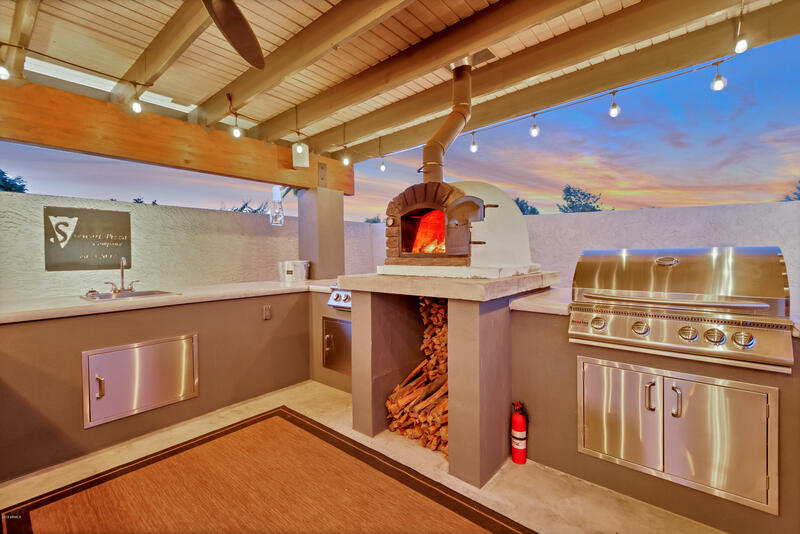 Let's not forget the authentic wood fired pizza oven. 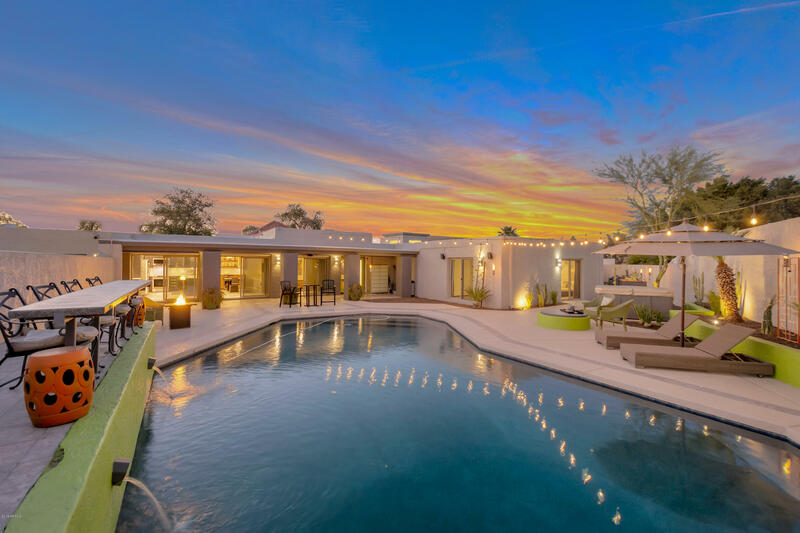 This is truly an entertainer's dream. 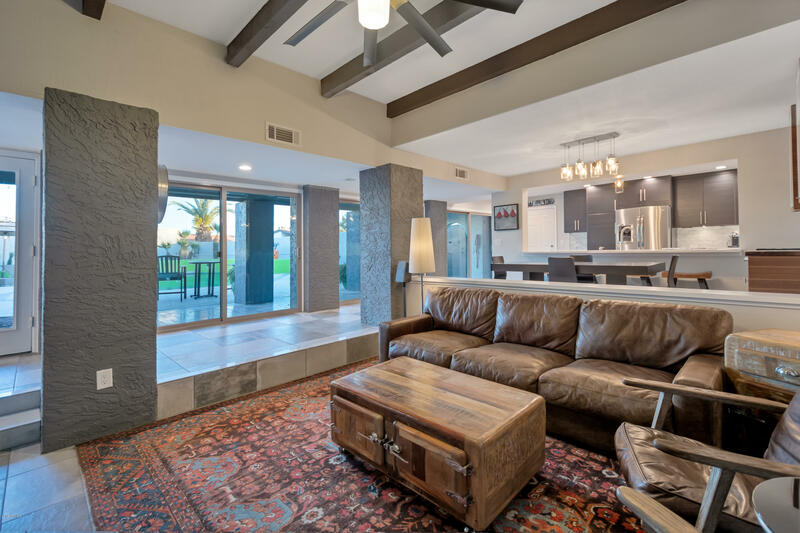 This home offers true indoor as well as outdoor living at its finest. 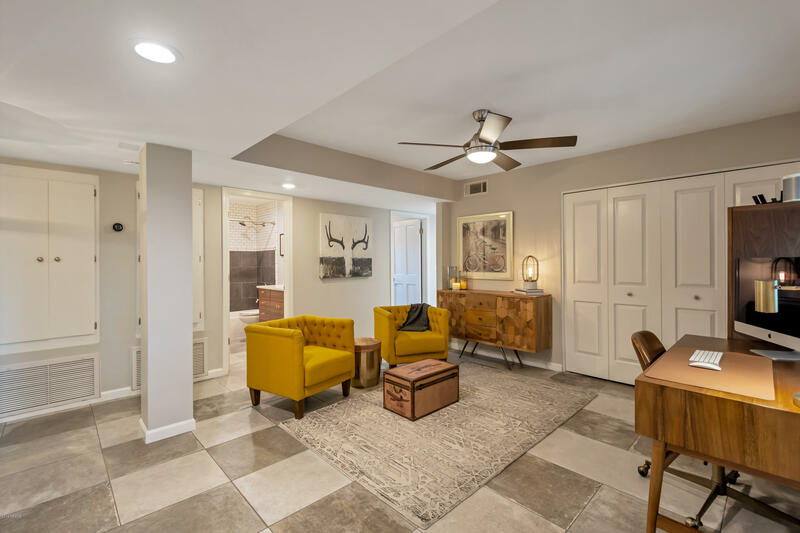 This home has been loved and it shows! 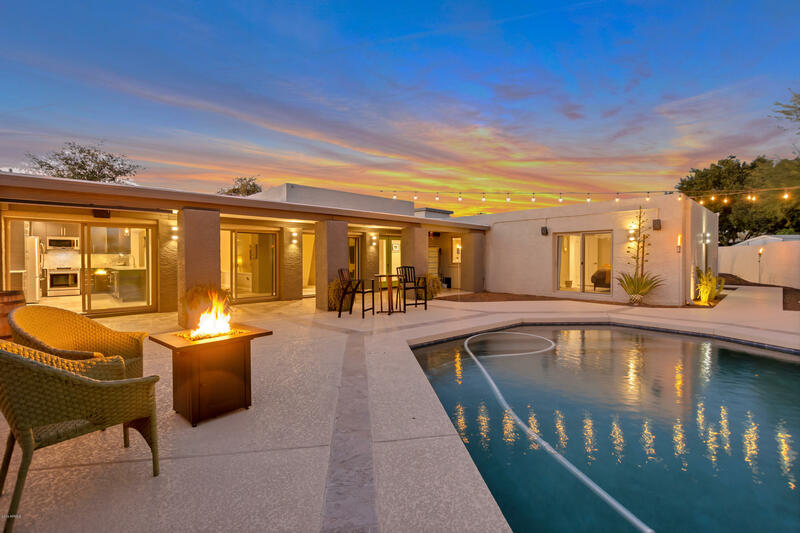 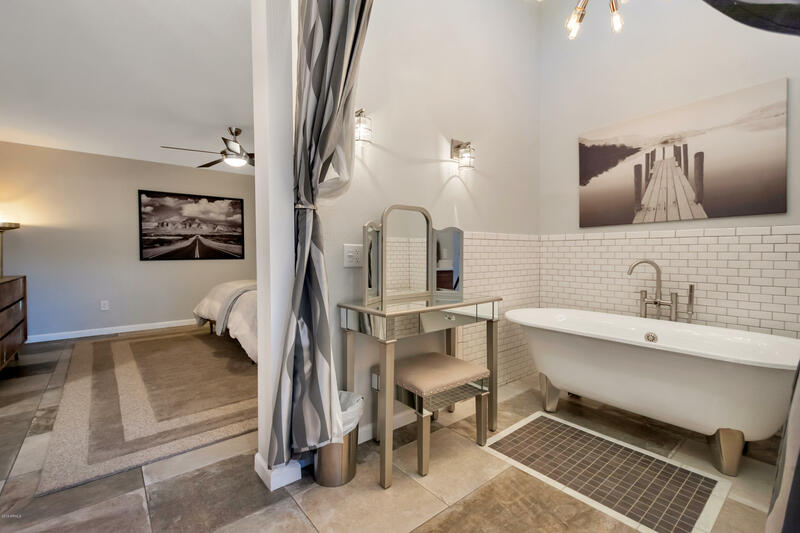 Listing courtesy of USELLSMART Real Estate. 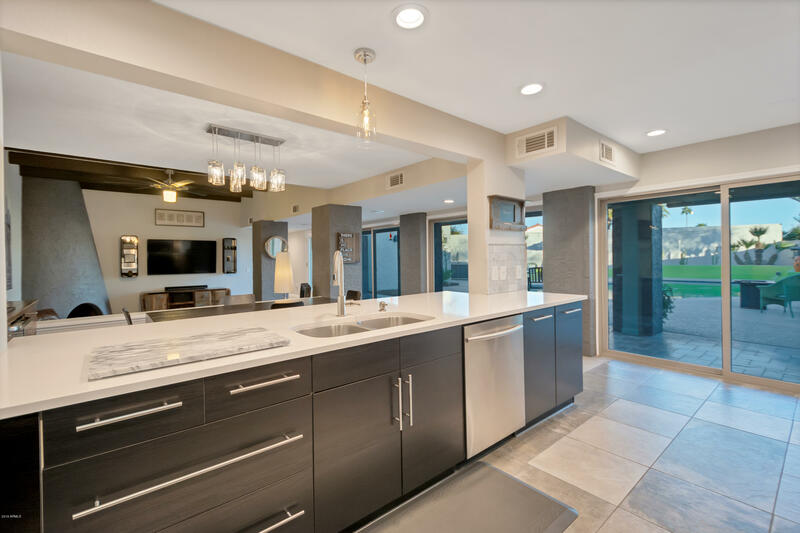 Selling Office: RE/MAX Renaissance Realty.